I am a PhD student in Mathematics and image processing under the joint supervision of Lionel Moisan, professor at the Université Paris Descartes, and Tugdual Ceilier, Lead Data Scientist at Earthcube. 2016-2017: Internship at Earthcube, about Change Detection Technique in satellite imagery. 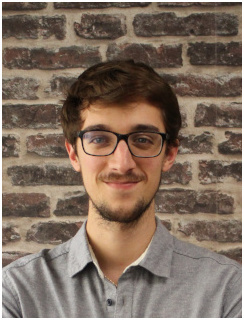 2017-2019: Teaching assistant for Raphaël Lachieze-Rey, "maître de conférences" (assistant professor) at the MAP5 laboratory, Université Paris Descartes, UFR Mathématiques et Informatique, for the Introduction to statistics and probability course. 2013-2016: Teaching assistant for classe préparatoire, Lycée Charlemagne, Paris. Prepare second year students to orals in competitive exams in Mathematics.